We were about to leave, thinking we're done watching eagles through cyclone wires that serve as their cage. It's been a busy day at the Philippine Eagle Center in Malagos, Calinan, about half an hour away from downtown Davao City. Besides the regular visitors and the odd foreign tourists, busloads of high school students from nearby provinces were on a field trip today. By mid-afternoon, it got quieter. That's when we serendipitously met Manong Poroy, one of the center's eagle caretakers. We were looking at the glass-enclosed remains of Kabayan when Manong Poroy saw us and asked if we have already seen Paglaum. Paglaum means 'hope' in Cebuano just like the star of them all, Pag-asa, the first to be successfully bred in captivity. Paglaum was outside the cage, a welcome relief to finally encounter a Philippine eagle up close again. I say again because I had this chance when I was still in college tasked with writing about this magnificent raptor for our school paper. Junior, a male eagle, had at the time a caretaker named Manong Ben as a human surrogate partner. Junior spreading his wings for us was a scene I certainly won't forget (see photo below). On a wooden perch, Paglaum stood supremely despite the left leg being tethered to a rope. It looked at us, moving its head at different angles, studying whatever moves we were doing. Mang Poroy went closer to the bird and its crest of brown feathers suddenly rose just like a lion's mane, a great display for a bird-of-prey. We took turns having our photo taken, careful not to move too uncomfortably close to the eagle lest the mighty grip of its talons will butcher us. They're more sensitive during their breeding period from September to February. Manong Poroy, his hands busy with a pail for the eagle's food, became our impromptu host, answering our questions and showing us the other eagles like the white-bellied sea eagle, grey-headed fishing eagle and the Pinsker's hawk eagle. He eventually took one of the white-bellied sea eagles from its cage for us to have a proper photo shoot. Like any eagle they handle, Manong Poroy has to wear a leather glove to protect him from the eagle's piercing talons. He was game enough to even show scars he had accumulated while caring for these raptors. Through the efforts of the Philippine Eagle Foundation, Inc., an NGO that manages the conservation breeding facility, the eagles have been given a new lease of life. 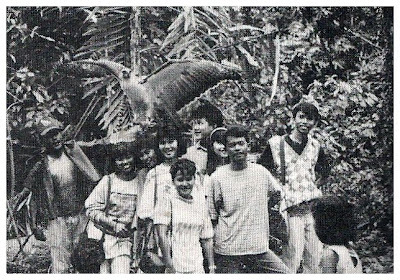 Since 1992 when Pag-asa was born, along with the other eagles that were successfully bred, there was truly hope that the birds won't follow the footsteps of the Dodo. Aware that the eagles deserve to be reintegrated back into their forest habitat, the center had released two with tragic results: Kabayan was accidentally electrocuted on an electric post while Kagsabua was shot and eaten by a tribal farmer. Adding to the difficulty of releasing the eagles back to the wilds is the fact that there's hardly any wild area anymore. The eastern corridor of the four major islands where these eagles used to thrive: Luzon, Samar, Leyte and Mindanao, have little forest cover left. Eagles are very territorial and for a breeding pair to successfully raise a chick, they need 65 to 130 square kilometers of home range. Looking at whatever space they have now at the Philippine Eagle Center, I do feel sorry for them. But are they safer behind cages or are they better off taking the risk outdoors getting electrocuted or shot and eaten again by some ignorant tribal farmer. Update (9/25/09): A report written by Dennis Jay Santos appears today in the online version of the Philippine Daily Inquirer entitled "Bullet-ridden eagle found in Agusan Sur". these are amazing eagle shots. looks like you are having great time here in pinas. 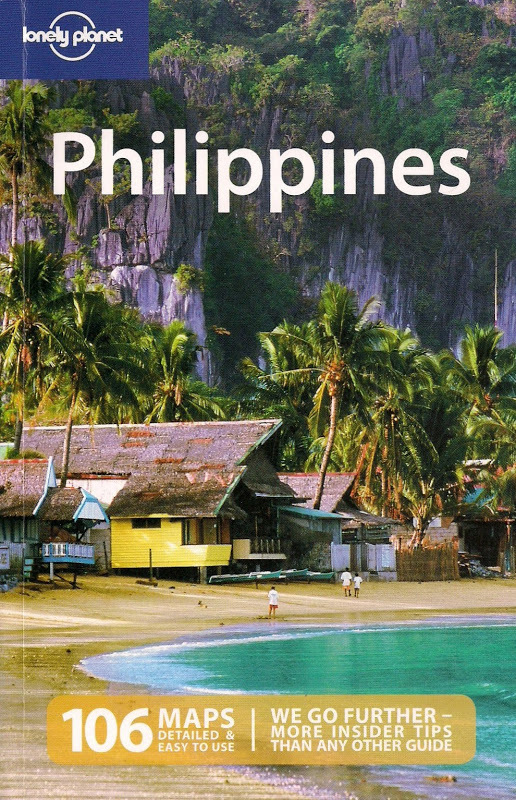 isa sa mga ganda ng pinas ang lugar kung saan makikita ang agila natin...ang tapang ng dating! yun nga lang di natin alam kung saan parte natin sila iingatan kung malaya sila marami naman ang nanghuhuli, kung alagaan naman kailangan nila ng malawak na lugar. i have yet to see those amazing birds. i am quite grateful that there are still people who really value the importance of protecting them. when the philippine eagle was featured in national geographic, i was even more impressed as how different they are to all the other eagles in the world. You're lucky you saw the eagle up close. When I visited the place, the eagles were perched high above their individual cages I could barely spot them. By the way, is that you in shades? Salamat. I'm really having a blast here. Yan ang dilemma na hinaharap ng Philippine Eagle Center. Sana panatilihin pa rin ang malawakang edukasyon ng publiko. I also read that National Geographic feature last year. Sana makarating ka rin dito sa Davao. According to the caretaker we spoke to, people have been complaining about the eagle's high perches so they have started displaying one eagle at a time in a quiet corner of the facility. The guy in shades isn't me, it's my brother-in-law. Lucky you... up close and personal ! Great you could see the eagle outside the cage! ...funny how our local travels seem to crisscross. I was just there in June, but didn't get to be up close and personal with the raptors...nice photos! amazing shots of the eagle! i bet the experience of getting close encounter with them made your trip from NY more than worthwhile. Lucky indeed, thanks to the caretaker. I know. One of these days, we'll finally bump into each other again. Yes, the experience is not just worthwhile but unforgettable. Tiempo nga na kakaunti na lang ang bisita that afternoon kaya yung caretaker was very accommodating.